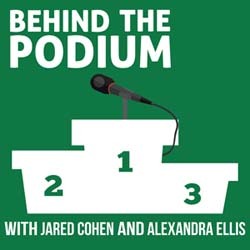 Today, Jared and Alex go behind the podium with Valerie Hunt, a coach, Weightlifter, aerobics instructor, CrossFitter, business owner, gym owner, Pose Method® running specialist/master coach, Yoga Tune Up® therapy ball user/enthusiast, ice bath dabbler, Wim Hof ambassador, mother, wife, and bulldog lover. Valerie is a veteran of the fitness/strength-conditioning world and currently owns and coaches out of BVM CrossFit in Austin and RunRx, her running mastery and instruction company. Valerie is also a coach of CrossFit HQ’s Pose Method specialty course.